Oncology training focuses primarily on biomedical content rather than psychosocial content, which is not surprising in light of the enormous volume of technical information that oncology fellows assimilate in a short time. Nonetheless, the human connection, and specifically communication skills, remains as important as ever in caring for highly vulnerable patients with cancer. 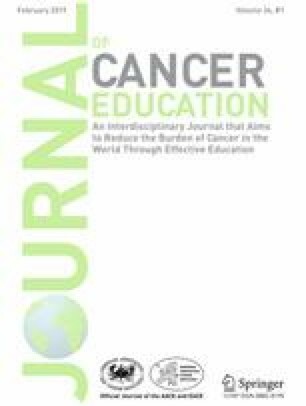 We previously described a year-long communication skills curriculum for oncology fellows that consisted of monthly 1-hour seminars with role play as the predominant teaching method (Epner and Baile, Acad Med. 89:578–84, 2014). Over several years, we adapted the curriculum based on learner feedback and reflection by faculty and teaching assistants and consolidated sessions into quarterly 3–4-hour workshops. We now describe integrating stories into the curriculum as a way of building empathy and warming fellows to the arduous task of dealing with highly emotional content, such as conversations with young patients about transitioning off disease-directed therapy. Learners read and discussed published, medically themed stories; discussed their own patient care stories; and completed brief writing reflections and discussions. They then worked in small groups facilitated by faculty and upper level fellows who functioned as teaching assistants to work on applying specific skills and strategies to scenarios that they chose. Fellows completed anonymous surveys on which they rated the curriculum highly for relevance, value, organization, content, and teaching methods, including storytelling aspects. We conclude that sharing stories can help highly technical learners build reflective ability, mindfulness, and empathy, which are all critical ingredients of the art of medicine. The authors wish to thank Roman Groisberg, MD; Christine Parseghian, MD; and Shiraj Sen, MD, PhD, for serving as teaching assistants and further developing the curriculum; they also wish to thank Robert Wolff, MD; Catherine Butler-Gunn; Crystal Franzese; Kary Garnica; and Camillia Moses for administrative support.